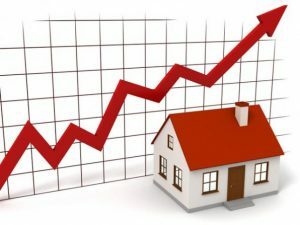 The prices of homes in the United States increased sharply in the month of August and this is discouraging potential buyers and thereby leading to a slowdown in sales. According to the S&P home price index, the prices of homes increased by 6.1% in August this year compared to the same period a year ago. A month earlier the prices had increased by 5.9%. The index tracked 20 cities and in nine of them the annual price gains were faster in August than in July. This is being attributed to the fact that the number of Americans selling their homes has gone down as well as the fact that there aren’t enough new houses being put up to meet the rising demand. Consequently home buyers have been forced into bidding wars which has resulted in higher prices. Also the mortgage rates are at a historically low level and this has ensured that higher prices are easier to afford and thus an increase in home prices despite sales slipping. The prices of homes are also rising at a faster rate than wages or the overall inflation. After declining for three months existing home sales rose in September though compared to 2016 the sales have gone down by 1.5% marking the first decrease year over year since July last year. This is per the National Association of Realtors. The fall in the sales figures are however not a reflection of reduced demand. In September a typical home on average sold just a little over a month after getting listed. A year ago the average wait time was 39 days. Various surveys conducted also suggest that renters are of the view that this is an opportune time to purchase a home. At the same time a growing number of millennials have found jobs and are entering a phase when most Americans start buying homes. The number of houses that are available for sale has gone down especially the less-expensive ones. In September this year available homes was 6.4% lower compared to the same period last year. The total number of available existing homes in September was 1.9 million which was the lowest figure since 2001. This has resulted in more Americans paying the list price and at times higher. A survey shows that this has happened with 42% of home buyers this year which is the highest number since 2007.